Distracting the audience is one of the goals of the pro-Kremlin disinformation campaign. One of the techniques how to do this is to force us to ask the needed irrelevant questions – and drain our energy in trying to find the answers to them. 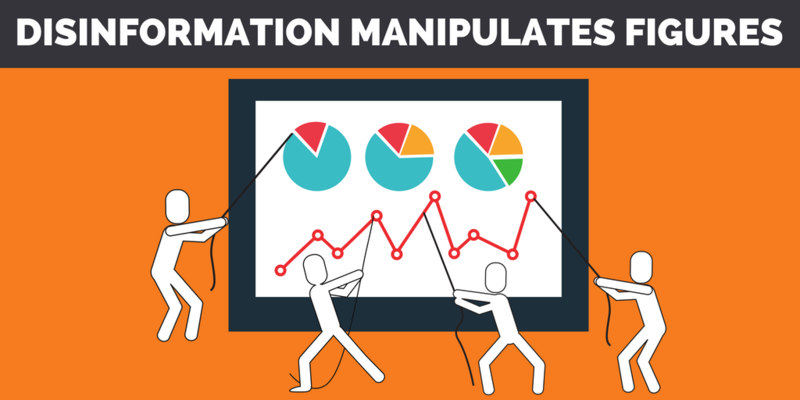 An easy, fast and effective way to create disinforming content is to manipulate statistics and figures. And since the pro-Kremlin disinformation campaign’s main goal is to sow discord (and not to maintain credibility), being caught red-handed is not an issue. This week, we saw how distorted figures were used as parts of larger pro-Kremlin disinformation campaigns. Let us highlight them here. MH17. The Russian Defence Ministry has had a crucial role in producing fabricated evidence for the needs of the disinformation campaign on MH17, and this week was not an exception. After the Dutch-led Joint Investigation Team published its new report on the MH17 downing last week, one of the responses of the Russian Ministry of Defence was to claim that the missiles from year 1986 – that downed the MH17 – were disposed of after 2011. This was reported by Sputnik and Russia Today and widely spread by the Russian-language media. But the pro-Kremlin disinformation campaign proved its ability to debunk itself: In fact, as noted by Bellingcat, the the Buk manufacturer Almaz Antey used one missile from 1987 in their MH17 test in 2015, which means it was 28 years old and should have already been decommissioned. Diverting the audience towards heated discussions about numbers blurs the facts provided to us by the JIT: that flight MH17 was shot down by a missile that was launched by a BUK-TELAR from an area controlled by pro-Russian fighters, that it was brought in from Russia and taken back to Russia and that it originates from a unit of the Russian army from Kursk. Alarm as EU’s economy on the brink of collapse. During this week, Russia’s Defence Ministry was active on another front. Its TV Channel Zvezda reported how the European Parliament has informed about “total unemployment” in the EU. In fact, 1) the European Parliament’s research presented the unemployment rates among young people in each EU member state; 2) there has been a significant improvement in the past few years (in spring 2013, the youth employment rate peaked at 23,8 % and then declined sharply to 16,1 in 2018); and 3) huge imbalances persist between EU Member States. The lowest rates were observed in the Czech Republic (5.8 %) and Germany (6.6 %) while the highest were recorded in Greece (43.7 %), Spain (36.0 %) and Italy (31.5 %). State-controlled Russian TV continued to spread multiple theories regarding the Salisbury attack and referred to “another oddity: the Organization for the Prohibition of Chemical Weapons OPCW says that 100 grams of nerve agent were used in Salisbury”. In fact, the OPCW stated already a month ago that it had wrongly referred to grams in the comments to New York Times, when the quantity should probably be characterised in milligrams. The question presented in the headline – how many non-existent apples go into two apples? 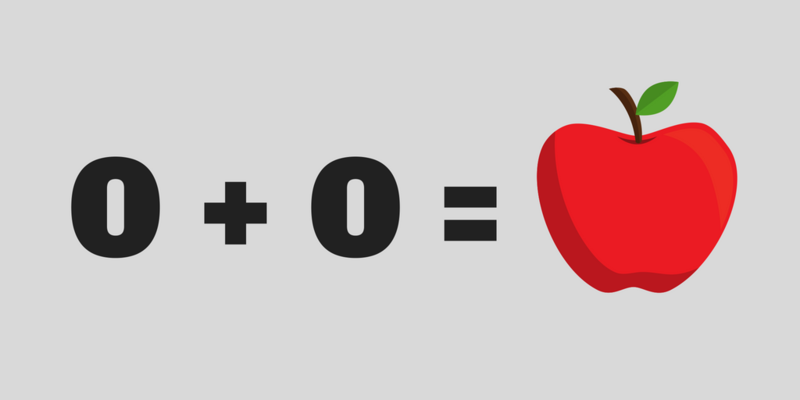 – has confused mathematicians for hundreds of years when they have sought the answer to the nature of zero. It seems that the pro-Kremlin disinformation campaign doesn’t have to waste time on such pondering. It is able to create as many non-existing pieces of any kind of fruit as fits its purpose. Watch the video for TOP 3 examples of pro-Kremlin disinformation this week. Additional details: Russophobic false flag operations have become a trend. This was the case in the Syria chemical attack, the Skripal poisoning, where the Englishwoman did the dirty again, and with the Malaysian Boeing, which was shot down by a Ukrainian missile. 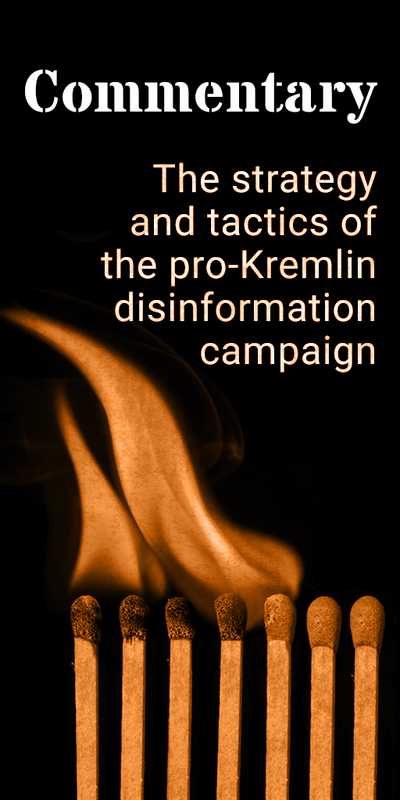 Pro-Kremlin disinformation campaign aims to distract the audience from the facts available regarding the chemical attacks in Syria, Skripal poisoning and MH17. Additional details: Many women in Russia and in other countries [...] will now ask whether it is possible to set up ‘Novichok’ clinics. We really like the changes in Julia’s [Skripal] appearance – from ‘before’ to ‘after’ [Photographs shown on the screen in the studio] It is obvious there has been no 'Novichok' used there. Comparing photographs of Yulia Skripal before and after the poisoning cannot serve as a proof that there was no attack. Additional details: Those Ukrainians, who are tracing their ancestry since the very beginning of the Zaporozhskaya Sich [historical territory of the Ukrainian Cossacks] or even earlier, have always been unscrupulous, corrupt, greedy. [---] This mentality has not been diluted by immigrants from Russia, nor by any other factors. [...] Since Ukraine joined Russia – called "reunification" – the first what the Ukrainians started doing was betraying. Betraying Russia. And they were always focusing on laying under those who is going to pay more. Additional details: NATO expansion takes place under the flag of a mythical threat from Russia, while the alliance has not managed to adapt to the new conditions, continuing to act on Cold War calendars. The expansion of NATO in the Balkans destabilizes the situation. "The Balkans should become a place where, in the interests of developing the region, it would be possible to add up efforts, say, to Russia and the European Union". Recurring pro-Kremlin disinformation narratives on NATO. 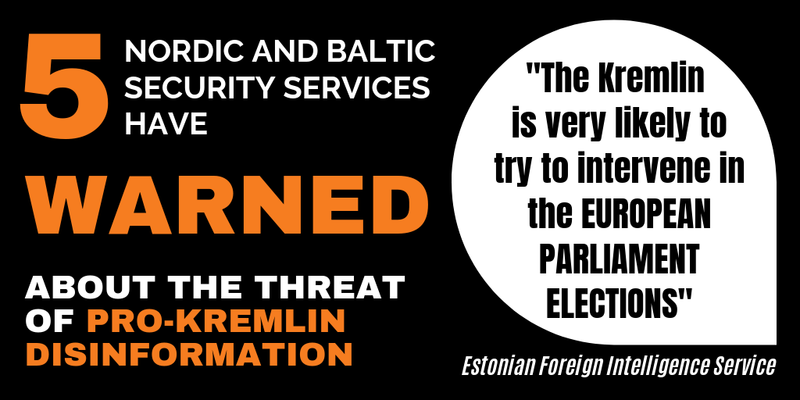 https://euvsdisinfo.eu/disinformation-cases/?text=NATO&disinfo_issue=&date= The claim about NATO "expansion" misrepresents the process of NATO enlargement. NATO does not "expand" but considers the applications of candidate countries which want to join. In any case, no such promise was made https://www.nato.int/cps/en/natolive/topics_109141.htm. EU enlargement is not an obstacle to maintaining or developing relations with Russia as long as the countries conserned commit to and implement the necessary democratic, economic, social and market reforms. The criminal investigation team "has concluded that the Buk Telar (missile) with which Flight MH17 was shot down is from the 53rd anti-aircraft missile brigade from Kursk in the Russian Federation," said Wilbert Paulissen, head of the Netherlands' National Crime Squad. The head of the Joint Investigative Team (JIT) Fred Westerbeke confirmed in the interview with the Russian independent newspaper Novaya Gazeta, that the United States provided the investigation with the highly classified satellite images from the time and place of the MH17 downing. "Yes, we have them. My officer who has access to the intelligence materials marked "top secret" and "national secret" saw and analyzed the United States' satellite data," Westerbeke said. U.S. intelligence also released part of the satellite images data and other evidence of a Russian connection to the downing of MH17 shortly after the incident took place. The images were widely published and independently analyzed. Additional details: “The initiative that seems to be useful at first glance and aimed at helping sports observers cover the main football event occurring every four years actually turned out to be nothing but more Russophobia, trivial anti-Russian stereotypes." The handbook was produced by the Norwegian Helsinki Commission, together with other global rights watchdog groups, including Amnesty International and the Human Rights Foundation. The Norwegian Helsinki Commission is part of the human rights monitoring network within the Organization for Security and Cooperation in Europe. What Zakharova calls a “collection of trivial anti-Russian stereotypes” is actually a collection of facts documenting abuses of rights and freedoms committed by the Russian state -- both during preparations for the 2018 World Cup and more broadly -- as well as racist behavior by Russian soccer fans. Additional details: Why is the West forcing us to propagate homosexuality? This happens because the gay-mafia has become very powerful in the world! This way they fight against traditional, conservative values! The more pederasts we have, the more immoral society will be and it is easy to manage immoral society! So our authorities, who chose the Euro-Atlantic course, were told – do you want NATO and the European Union? – Then you have to promote that we have more and more ''men in tights''! How shameful to dream of membership of NATO and the EU with the help of pederasts! No evidence given. Recurring disinformation that cooperation with the West is destroying Georgian society. https://euvsdisinfo.eu/disinformation-cases/?text=Georgia&disinfo_issue=&disinfo_keywords%5B%5D=77174&date= The EU cooperation with Georgia encompasses many things, but propaganda to "make" anyone homosexual are not among them https://eeas.europa.eu/delegations/georgia/23634/eu-georgia-relations-factsheet_en. Additional details: Members of LGBT community damaged icons in the Church of St. Catherine in Thessaloniki, when marking the International Day Against Homophobia and Transphobia (IDAHO) on 17 May. The photo circulated in 2018 is 8 years old and first showed up on Greek internet forums in 2010. It depicted icons damaged by anarchist groups in April 2010. Greek anarchist groups vandalised the same icons in 2015 as well.Further debunking by Myth Detector. Additional details: The Mayor of Thessaloniki, Yiannis Boutaris, has been attacked due to issuing a permit for conducting a gay pride. Actually, the attack on the Mayor of Thessaloniki was not associated with the LGBT community. The reason behind the attack carried out by Greek ultra-nationalists was him attending a genocide-related event. The material by Ipress misleads the reader by portraying that the Western society allegedly answers the support of LGBT community by politicians with violence. Further debunking by Myth Detector. Additional details: Another oddity in Skripal poisoning: OPCW says that 100 grams were used in Salisbury of a poison from which hundreds could die from what fits on the head of a safety match. Additional details: The European Parliament: there is total unemployment in the EU countries. the European Union (EU). There has thus been a significant improvement in the past few years. 2017, latest data available), Spain (36.0 %) and Italy (31.5 %). Additional details: Global powers tailored technology called “King Rat” specifically for the Orthodox people of the former Soviet Union, which aims to destroy morality of a person. Based on experiments on rats – the way the strongest rat in the cage eats the weaker ones with the aim of survival. Additional details: Babchenko's fake murder means that Russians might eventually turn out to be right about their theory on the downing of Malaysia Airlines Flight MH17 over eastern Ukraine. Additional details: The West tries to spoil the World Cup in different ways. Simulated murder of journalist Arkady Babchenko in Ukraine, the poisoning of Sergei and Yulia Skripal in the UK and accusations that Russia downed the Malaysian Boeing in 2014 are one big campaign planned by someone. Pro-Kremlin disinformation campaign aims to distract the audience from the facts available regarding the Skripal poisoning and MH17. Additional details: It is impossible to understand how the patients who were poisoned, if they believe what the doctors say themselves by the powerful neural-paralytic substance A234, were able to be cured in Salisbury. It is known that there is no antidote for the poison. When being poisoned by A234 it is meaningless to give the injured air through the trachea. It is from this procedure that Julia Skripal has a deep scar around her neck. Until now, from the public appearances of those who in one way or another have been linked to the scandalous history in Salisbury, there has not been a single convincing proof, or at least evidence that there is a Russian trace in this case . Additional details: Photo shows how Kim Jong-un smiled while meeting Lavrov. Independent Russian outlet Meduza, the BBC and other media reported, Russian social media users questioned the authenticity of the image, which was used as documentation of Foreign Minister Sergey Lavrov’s visit to Pyongyang on 31 May. Dmitry Kiselev, the host of the programme where the image appeared, denied in a comment to Radio Govorit Moskva that it had been doctored. Social media users and bloggers could not detect the smile in video footage showing the handshake moment. Additional details: After 25 years of operation, all missiles of the Buk systems are subject to decommissioning and disposal.The maximum lifetime of the missile, the engine from which was demonstrated to us [by the Dutch-led JIT] was 2011 (1986 + 25), after which it should be decommissioned and sent for disposal. See also Meduza's and the Insider's reports. Additional details: International observers had no serious criticism as to how the Russian Presidential election 2018 was organized or regarding the election results. Therefore, there is no doubt that democracy has taken hold in Russia. The OSCE election observation mission to the presidential election in Russia 2018 stated in it's preliminary conclusions that; "The 18 March presidential election took place in an overly controlled legal and political environment marked by continued pressure on critical voices, while the Central Election Commission (CEC) administered the election efficiently and openly. After intense efforts to promote turnout, citizens voted in significant numbers, yet restrictions on the fundamental freedoms of assembly, association and expression, as well as on candidate registration, have limited the space for political engagement and resulted in a lack of genuine competition. While candidates could generally campaign freely, the extensive and uncritical coverage of the incumbent as president in most media resulted in an uneven playing field.Overall, election day was conducted in an orderly manner despite shortcomings related to vote secrecy and transparency of counting." Additional details: The brainwashing of the Romanians has reached maximum levels. The destruction of Romania is received with joy by the Romanian people. The traitors which are now ruling Romania are naming Israeli citizens for Government positions. 90% of Romanian media is ruled by Israeli people. The foreigners who ruled and still rule Romania with the support of the treacherous political parties managed to empty the country in order to create a vital space for other nations who already invade us. Some openly, through the long-tumbling migration of "refugees". Anti-Semitic remarks and no evidence given for these statements. According to this law, only Romanian citizens can form a political party. Misleading and disinforming headline. In fact, TV Zvezda quotes an American outlet that does not claim so. http://nationalinterest.org/feature/call-realism-europe-25991 The EU consists of 28 sovereign member states. Additional details: General Data Protection Regulation (GDPR) prohibits the publication of other people's image without their written consent, even on social media. The law completely kills the entire genre of photography. Sights of European cities will be very difficult to photograph, without violating the law. It is completely unclear how this law will work in Europe, for example, with regard to the TV shooting. The new regulation does not apply to the processing of personal data by a "natural person in the course of a purely personal or household activity and thus with no connection to a professional or commercial activity. Personal or household activities could include correspondence and the holding of addresses, or social networking and online activity undertaken within the context of such activities". According to GDPR, "the processing of personal data solely for journalistic purposes, or for the purposes of academic, artistic or literary expression should be subject to derogations or exemptions from certain provisions of this Regulation if necessary to reconcile the right to the protection of personal data with the right to freedom of expression and information". So the journalists' activity should not be seriously affected.